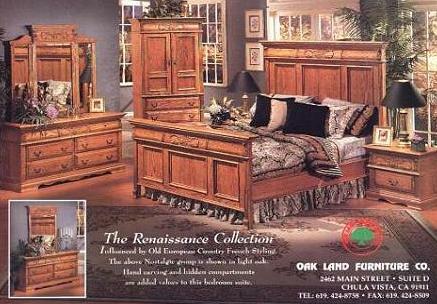 Influenced by Old European Country French Styling. The above nostalgic group is shown in light oak. Hand carving and hidden compartments are added values to this bedroom suite.